The performance review of an employee is the critical success factor of managing quality in your company. You have probably heard the cliche that the heart and driving force of the company is the personnel, but you probably haven’t incorporated into your company’s system a way to keep that heart healthy. 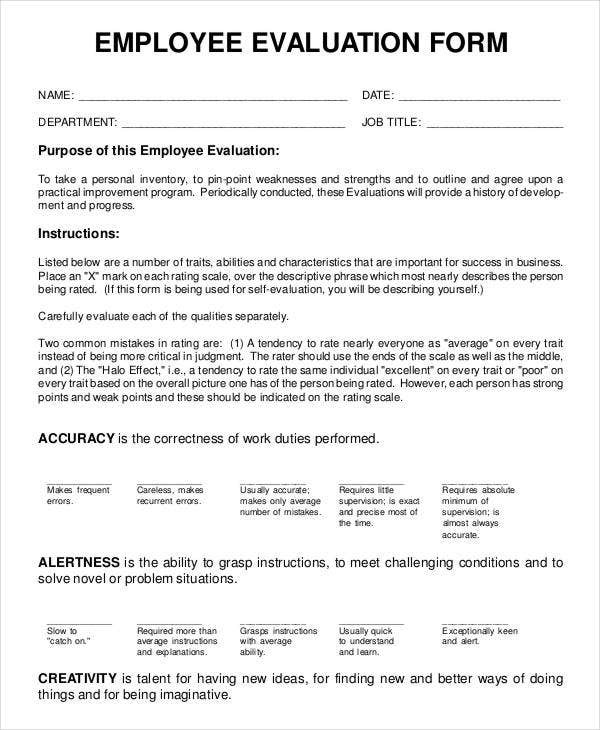 Like exercise, a regular evaluation of new and seasoned employees is the way to go. 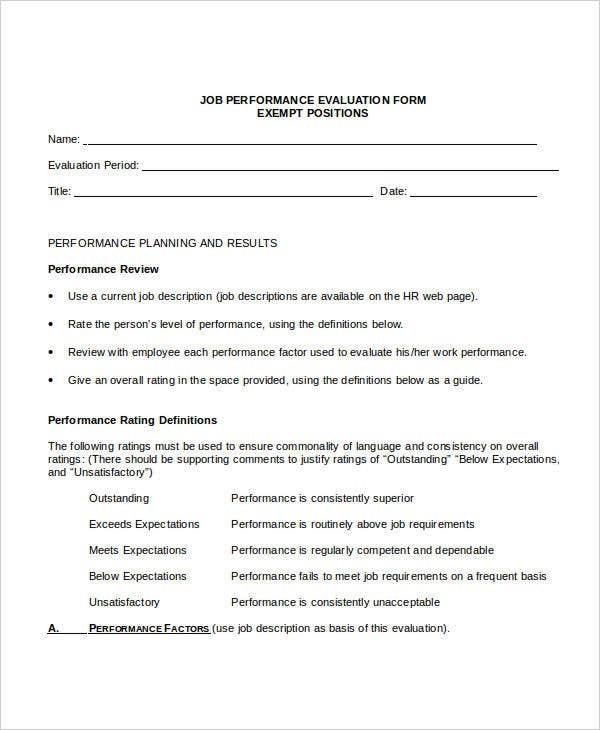 To aid in the proper planning and execution of such evaluations, you will need a Performance Review Template. 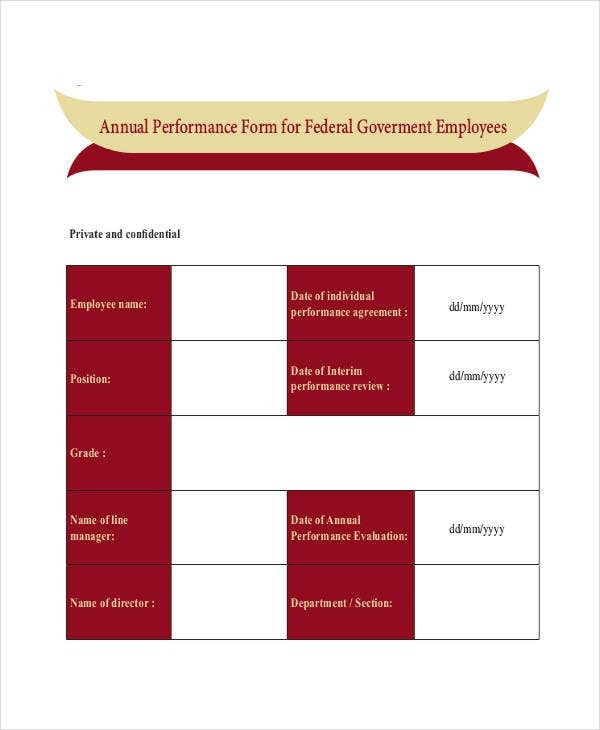 This collection offers a range of free PDFs and Word documents for review forms and appraisals. Using forms to track and record all important business matters and actions is standard procedure and vital to keep operations going smoothly. As full-time professionals, you are both busy and quality-conscious. 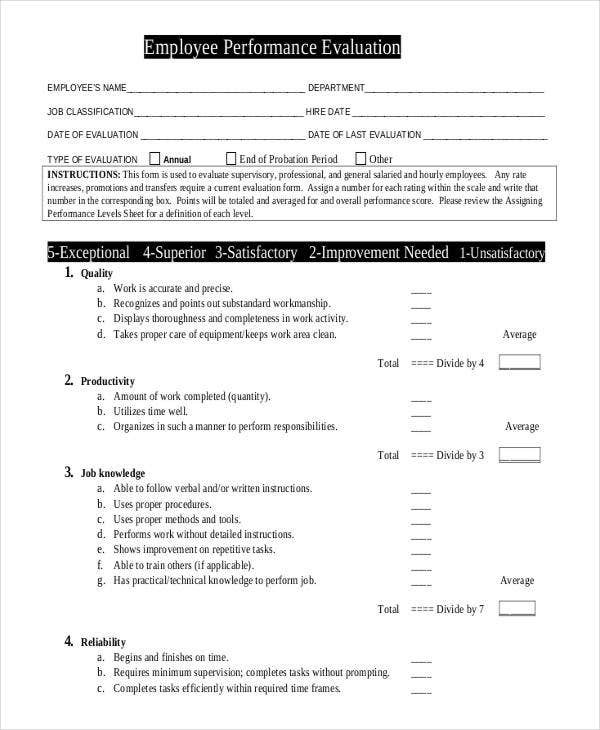 Using these forms as base templates for your evaluations will ensure you hit all the right spots that need to be assessed, and that you do it in a clear, controlled, adequately detailed, and professional manner. 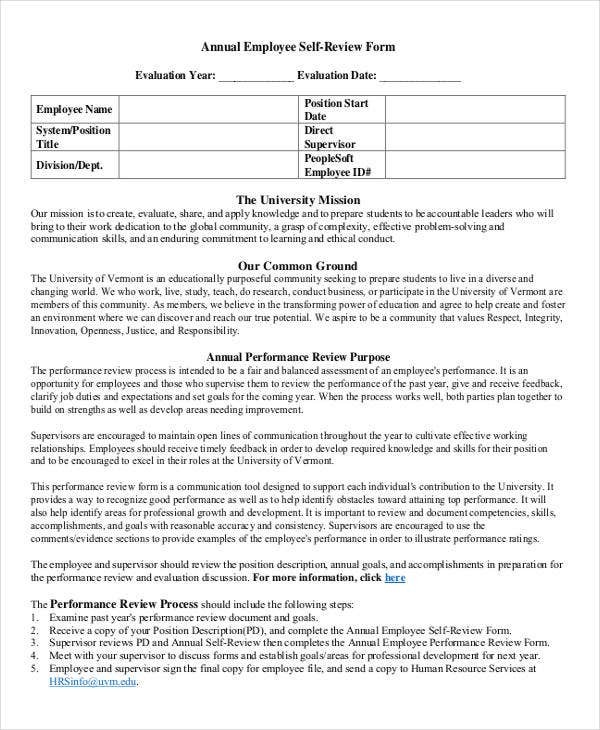 Even if you are regularly out of time, energy, and resources, this is no excuse to skimp on the performance review. 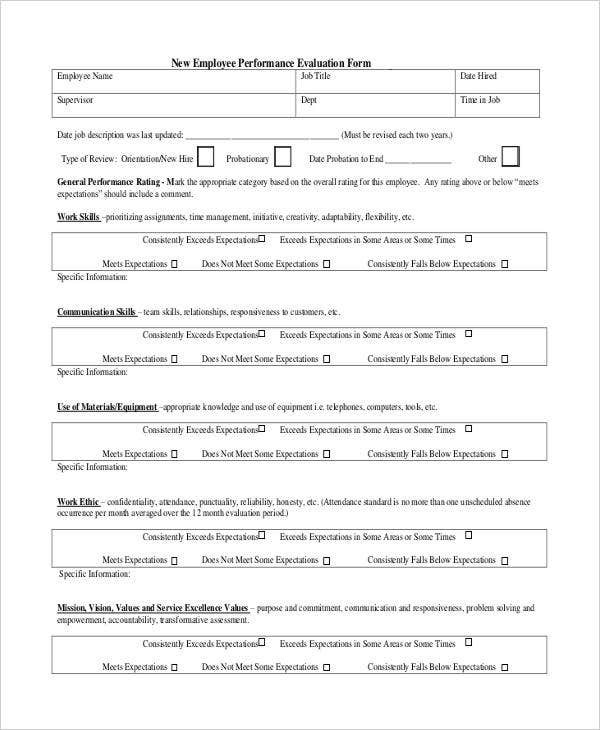 Schedule a date for the evaluation, send out a memo, and download and print any of these forms that best meet your circumstances. 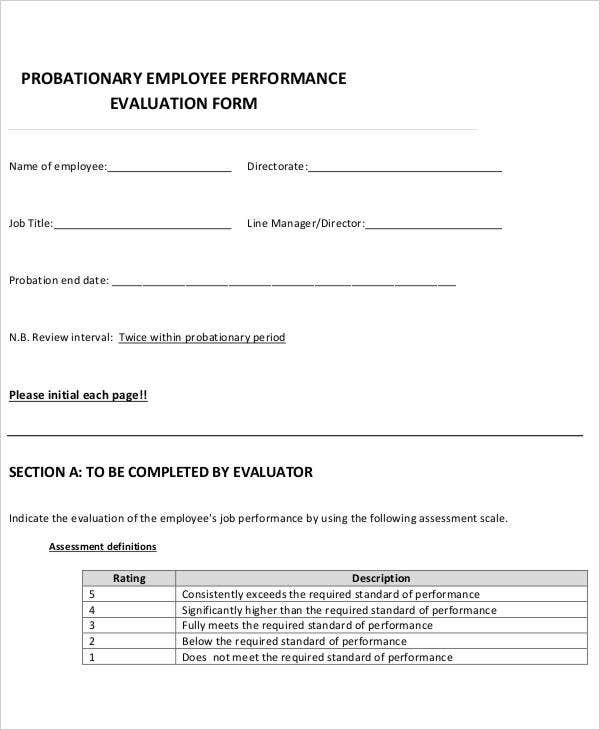 Sometimes the mere act of studying a good Employee Evaluation Form Example will help you see the areas in your own company performance that should be looked at more closely. annually, which will be more in-depth and comprehensive. The key is to do it only as often as you need to. 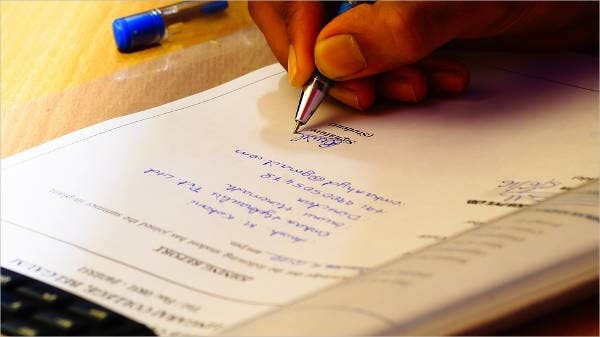 Having the right HR Evaluation Forms prepared beforehand will allow you to do what needs to be done when it needs to be done. 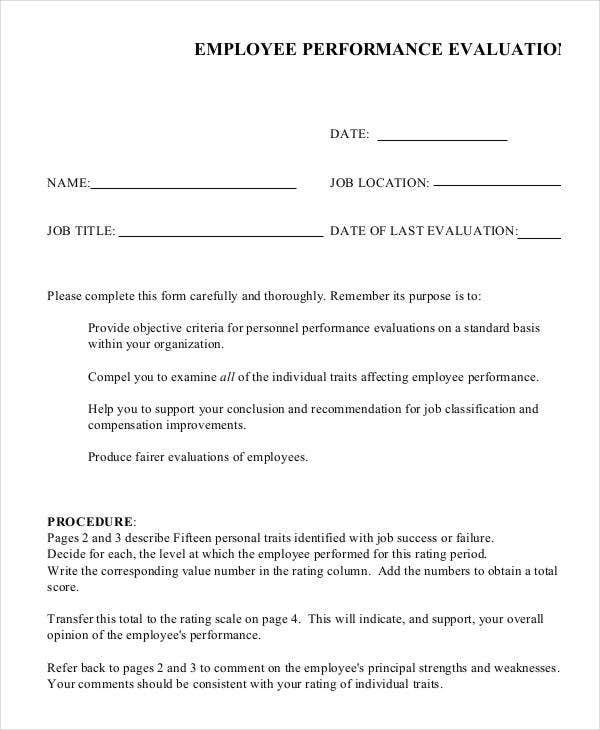 For the most basic purposes, any Employee Evaluation Form Example you download online will likely do the job. The more detailed and specific the review gets, your best bet will be to tailor these samples to fit.